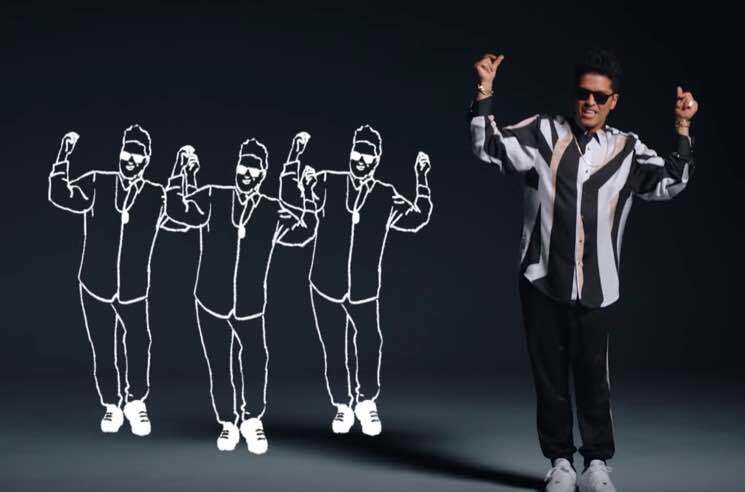 In recent months, Bruno Mars has showed off his goofy side on James Corden's Carpool Karaoke and paid homage to Prince with a very purple Grammys performance, and now he's bringing together his slick moves, sweet grooves and clever animation in a new video for "That's What I Like." The track appeared on last year's 24K Magic, and the accompanying clip shows a suave, striped-out Mars dancing against a blank background that gets sporadically accentuated with doodles that depict everything from lobster bibs and champagne to backup dancers and pouring rain. Watch the video for "That's What I Like" below.